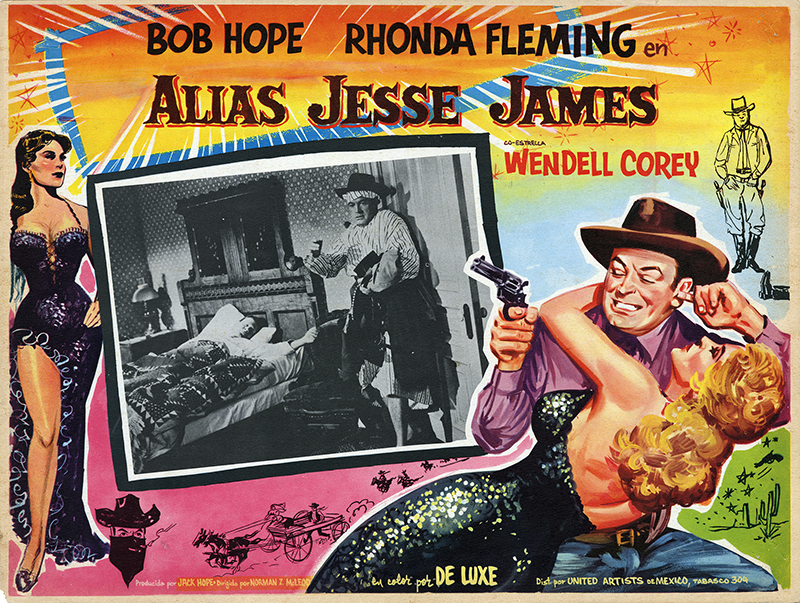 SCVHistory.com LW3338 | Jauregui Ranch | Mexican Lobby Card: Bob Hope, Rhonda Fleming in 'Alias Jesse James' (UA 1959). Lobby card from Mexico, 12.5x16.5 inches (standard size for Mexico). LW3338: 9600 dpi jpeg from original lobby card purchased 2018 by Leon Worden.